Welcome and thanks to you all warmly, Since the BUBDING TECH Company was founded 8 years ago and our Aliexpress store opened 5 years, \' Leading the innovation for plants lighting\' courage us work harder to research& develop better LED grow lights. The 4th anniversary as a new starting point, in the future, we hope to establish a long-term relationship of cooperation with you. Finally, we hope that getting better and better and provides a better plants growing system. We wish a brighter future to all. The anniversary promotion once a year! Activity1 For VIP customers(Ordered over $1000 in our store before), you can get extra discount 5% off for all products. pls contact the shop keeper Liz before ordering. Activity2 Order amount over $1000 can get a gift for all buyers. Activity3 We will choose 10 buyers who give us 5stars feedback with over 100words review also attached pictures sharing their wonderful growing experience with our grow lights, send a special gift. 1.COB GROW led plant grow light ultra bright. Really helps when the plant need extra boost of light, or a few of sun, raining, snowing , dark indoor etc. 2.Professional Lighting. The Led grow light provides you a targeted spectrum (including 440nm,460nm,530nm,630nm,660nm, 740nm wavelength ), and gives your plants only the light that they can use, offering them an extra boost in production. 3.Patented unique design of reflective cup for higher light-gathering effect. High PAR value and Lux value than normal led grow light, reducing light and Par value loss and providing better growing environment for plants. 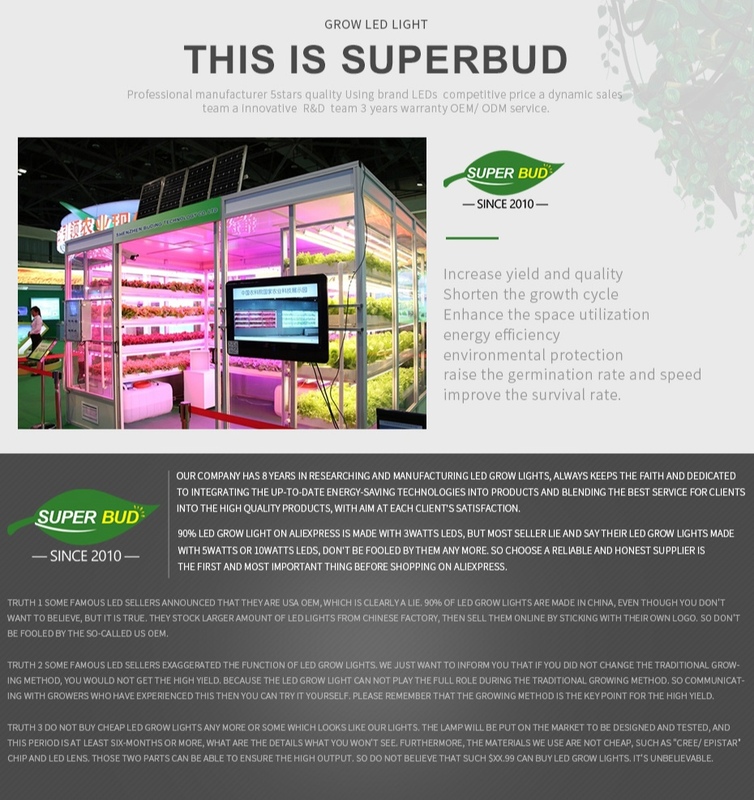 Help fast growing of plants and improvement on output, optimize the investment return of commercial plant growing. 4.Integrated COB(chip on board) brand new 3w Epileds chips,60 degree reflective cup, best light proportion, perfect solution of heat dissipation, apply to flowering and fruiting stages. 5.Special fans vest design, with cooling fan, Light won\'t generate any ultra heat even works 18hrs a day, keep light has longer service life. 1. Our GS-MAX Series small design use 60 degree up , which make lighting more focus, stronger and uniform than bigger degree ,also customized if need like 90 110 degree . 2. All cob chip used in our grow lights are produced by our head office which found in 2004 professional in led diode production , can help us a better quality control and save much cost . From pictures comparison , you can see the plant growing fast under our cob led grow light with only one week ! COB, or called Chips on Board, is a new technology of LED packaging for LED light engine. Multi LED chips are packaged together as one lighting module. When it light up, it looks like a lighting panel. LED(light emitting diode) is new technology with advantage of saving energy and very long lifespan. Other normal grow light have 50,000 hours while cob light can reach to 70 ,000 hours . 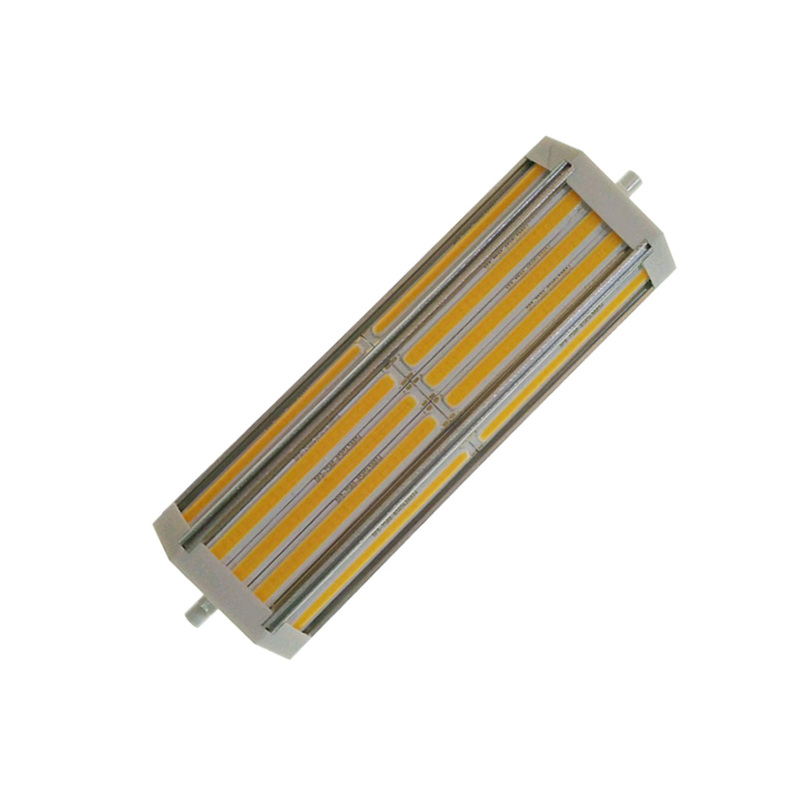 But all LED light source cannot be faultless especially SMD, HP, flux LED etc. Compare to traditional lighting such as fluorescent lamp, as it is super bright in a small size, it cause uncomfortable glare. In case of no diffused optical lens used, such LEDs usually cause glare and zebra strips . But when optical lens or cover used, it will cause light loss when LED beam pass through this lens or cover. Is customized spectrum available ? Sure , we are a professional manufacture and can do as your request . Hydroponic cob LED plant grow light can be used for horticulture, indoor gardening, plant propagation and food production, including hydroponics and aquatic plants. It is great for growing many household plants, such as: medical plants , orchids, roses, peppers, tomatoes, cucumbers, and many other fruits and vegetables . Please contact the seller for WHOLESLE ORDER to get more discount ! Kindly remark item No. if you are interested, thanks !